Jannis Kounellis’s sculpture, painting, collage and installation are characterized by sensitivity to materiality and weight. 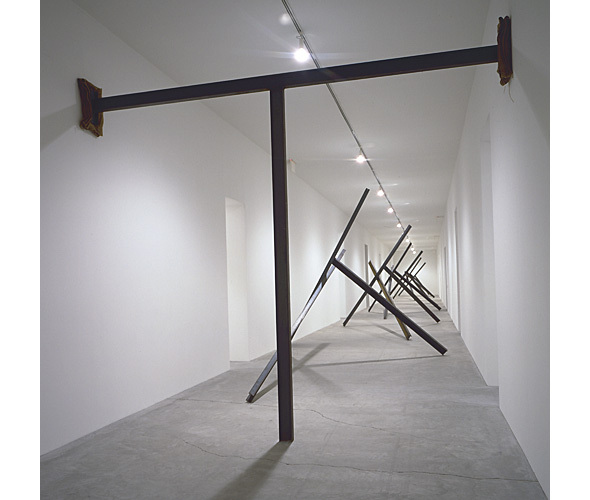 Using rudimentary elements such as cotton, burlap, coffee, coal, rolled lead, scissors, stones, or steel i-beams, Kounellis creates works of evocative juxtapositions and powerful repetitions. 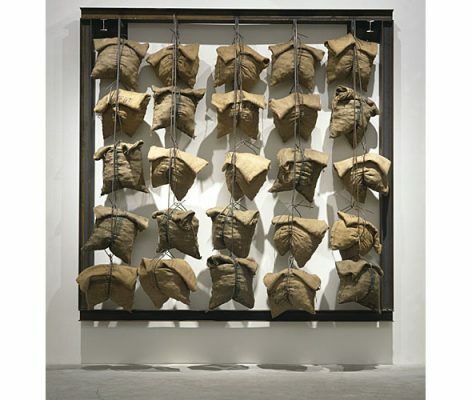 Born in Piraeus Greece, Jannis Kounellis, moved to Rome in 1956, after the Greek Civil War. Becoming involved in the burgeoning Arte Povera movement, he was included in the influential Im Spazio exhibition of 1967, cementing the movement and his position. 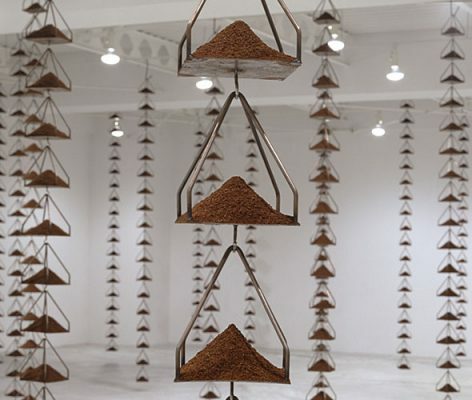 Sharing characteristics of Fluxus in the United States and Nouveau Realism in Paris, Arte Povera sought to break down hierarchies, making art immediate and accessible. Kounellis has participated in many international exhibitions, including the Biennale of Paris in 1967 and 1969; Documenta in 1972, 1977 and 1982; the Venice Biennale in 1972, 1976, 1978, 1980, 1984, 1988 and 1993; the Istanbul Biennial in 1993; and the Biennale of Sydney in 2008. His work has also been exhibited in many museums and institutions such as the Kunstmuseum in Bern, the Museum Boijmans Van Beuningen in Rotterdam, The Musée d’Art Moderne de la Ville de Paris, the Whitechapel Art Gallery in London, the Tate Modern, The Museum of Contemporary Art in Chicago, the Museo Nacional Centro de Arte Reina Sofía in Madrid, and the Neue National gallery in Berlin.